[fusion_text]Competition is all over the place. No matter how perfect your resume can ever be, still the chance of getting hired is sometimes very slim. In today’s job market, hiring and employment in companies are like a game where almost every player wants to win. But being hired is not the same as winning a lottery where numbers are drawn. Hiring is much the same as shopping. It’s picking for the best ones. Will there be any way to get noticed? The answer, of course, is YES. But there are important things you can ever think of going into resume writing. Of course, you don’t want your job application to end up in the trash bin, right? So here are some things you must avoid. Remember that in getting into the game of job hunting, there will be no room for mistakes. Avoid typographical errors. 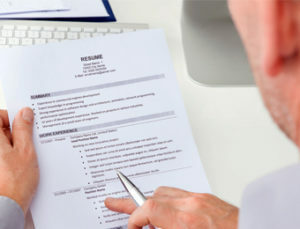 These are one of the common mistakes in resume writing. Remember that once a recruiter or employer gets to see your application, there will be no other means for you to change what you placed there. Having typographical errors or misspellings is not an excuse. This may have an effect on your chances of landing a job. Have it proofread by you or by a friend before submitting it. Most hiring managers or recruiters stop reading one when they see grammatical errors. They think you didn’t give much attention to what you placed there. Avoid fancy fonts. An easy-to-read job application tool is always pleasant to the eyes. The preferred fonts are Times New Roman or Arial and range from 12-14 font size. Avoid using different margins. This can ruin the entire format. Avoid “slanguange,” street talk, and jargon. Please avoid “jabberwocky” to be exact. Remember that you are writing an application document. It is ideally one to two pages in length. The employer must readily have an idea of your intended job position. Your targeted position and qualifications must match. It is not necessary to include information that is not relevant to the position you desire. Anything that has to be included must be related to it. It will not be enough to only list your educational background, skills, and activities. Your work history must date back to the last five years after your latest employment. Beyond five years is not advisable to be included. Ever worry that your application is a total mess? In resume writing, anyone can actually come up with a good one. But there are professionals who can get your application done without the worries. In hiring someone, you are assured that your paper will be a winning tool in the competition. There are websites that offer writing services. Always consider a trusted one. Do not think that you may be charged with a very high price. Your budget is always a concern for most of them.